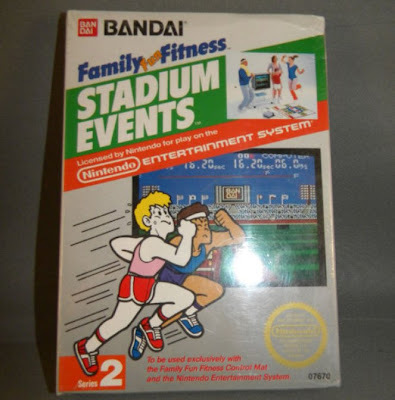 I think another reason it won't sell for as much as the preious copy is that now it is known that there is more than one copy of sealed Stadium Events out there, whereas before, for all we knew, it could have been the only one. This will still sell for a fortune, though. I wonder why this didn't surface during Stadium Events Mania last year. Did this seller not know what they had? "Did this seller not know what they had?" Maybe not, judging by the poorly written description, and cheap starting price (US $4.99 Jan-12-11). There was a reserve on it, but for all we know, it was $50. lol $50 reserve. Any bets on this being the first game (in due time of course, not this auction) to break the halo $1 million mark around 2030 or so? I think this seller knew exactly what they had. They only gave a short description but everything else they are selling is a video game with the box and instructions. Plus they took pictures of every angle of the game. They probably would have taken just one picture of the front if they thought it was a regular game. Every other game they are auctioning has just 1 picture. If your selling a really popular, rare item the best thing to do is start bidding off really low. It is cheaper to list and bidding will bring the price up. 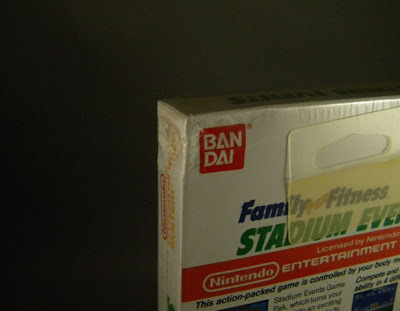 @anonymous - If any game is going to break $1 million at some point it will be either sealed Stadium Events or Nintendo World Championships Gold. At least that is my guess. I don't know if it is will ever break that amount though. I can't imagine even NWC Gold having the cultural cache required to break a million...seems like 100k would be the cap on any game. Million dollar collectables are historic and extremely rare, like Action Comics #1. Everybody knows about the first Superman, but the historic pull of a recalled power pad title is pretty dubious. a year later and item sells for 19K less wow..
@anonymous - I think this helps validate a lot of collector's suspicions about the last sale. They thought it was a bogus bid of $40K and the transaction was never completed. A price this much lower would help prove that. Either way it is still a very expensive video game. It just sold for 22,800 I believe. (If you look through the feedback for the seller (named *feedback*) golfgirl was the last seller of this item. This game of musical chairs (incessantly flipping rare games) is going to end up with someone out alot of cash, and I think this person might end up holding the bag. @anonymous - I think your right. I don't think it will sell for $41,300 even though it is graded. Maybe the seller will get their money back but with their ridiculous BIN price of $500,000 I don't think they will be lowering their asking price any time soon.